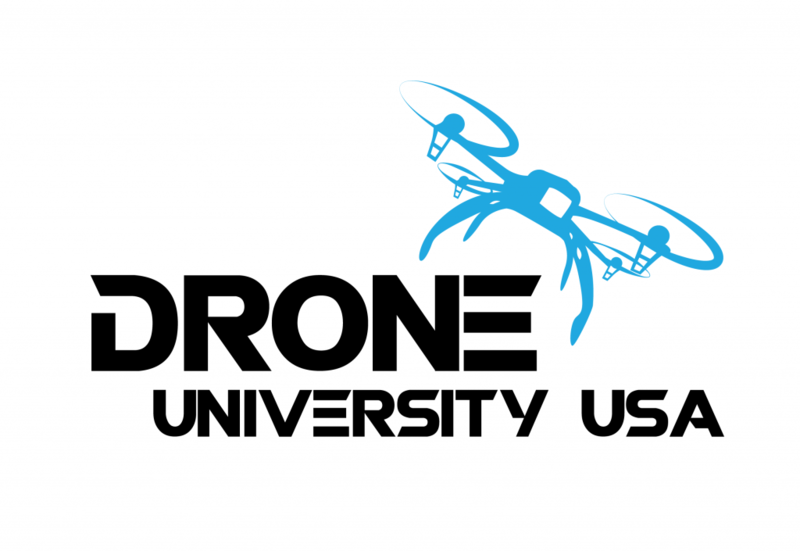 While we already have a comprehensive list of US drone schools, we have received many requests to rank the best drone training colleges that offer degrees specific to Unmanned Aerial Vehicles (UAV) or Unmanned Aerial Systems (UAS). While this is no easy task, we have made our best effort to establish ranking criteria based on reputation, accreditation, extent of hands-on instruction, variety of courses and programs offered, as well as job placement numbers (where available) and general feedback from students who have completed these programs. We then balance this with what we hear from our visitors regarding what they are looking for in a drone school. It is our hope that these rankings will be a valuable resource to anyone seeking a UAV education and a career in the drone industry. However, please remember that selecting the right school starts with knowing what kind of job you’re after. For example, the best college for a drone operator might not be your best choice if your goal is to be a UAV engineer. Please check out our UAV Jobs page for more career ideas. Bachelor of Science in Unmanned Systems Science : Select either a “pilot” track or “operator” track (for sensor operators, mission planners, and others not flying the aircraft). Master of Science in Unmanned and Autonomous Systems Engineering : Provides “a hands-on engineering experience in unmanned systems including a UAS Engineering area of concentration”. Classes are offered at the university’s Daytona Beach, Florida and Prescott, Arizona campuses as well as online. In fact, U.S. News & World Report ranked Embry-Riddle #1 out of almost 300 Online Bachelor’s Programs in 2016. 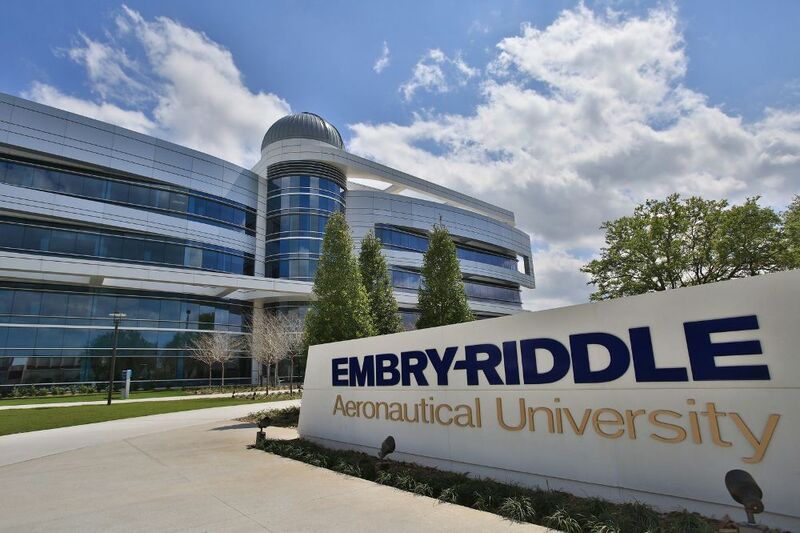 It also doesn’t hurt that 93 % of Embry-Riddle graduates are employed or are in graduate school within a year of graduation (the two largest employers being the U.S. Air Force and the U.S. Army). The state of North Dakota intends to be the Silicon Valley of drones. The state’s UAV testing site was the first of 6 planned FAA sites to become operational, and the state government does not generally pass anti-drone legislation. As far as drone training colleges go, the University of North Dakota was a trailblazer. It was the first college in the country to offer a four year UAV piloting degree, so it could make the argument it has more experience training drone operators than anyone. 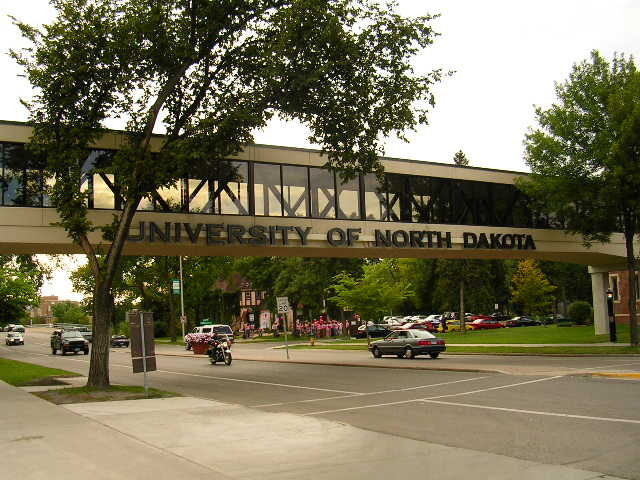 Its Bachelor of Science in Aeronautics with a Major in Unmanned Aircraft Systems Operations is “aimed at students whose career objectives are aimed at the civil unmanned aircraft systems industry.” With North Dakota’s relatively low population density, UND and the state government are working to provide more than 13,000 square miles of airspace suitable for UAS operations. Although Indiana State’s Bachelors of Science in Unmanned Systems program has only been around since 2015, they have offered a minor in Unmanned Systems since 2011. And during that time ISU has not been idle. Its professors have presented at drone industry conferences, forged partnerships in both the public and private sector and are involved in shaping national molding drone curriculum. Its program has won grants both to purchase drones and to fund commercial application research. Add small class sizes and multi-million dollar facilities with well-equipped classrooms to the mix, and ISU presents itself as a very enticing option among drone training colleges. 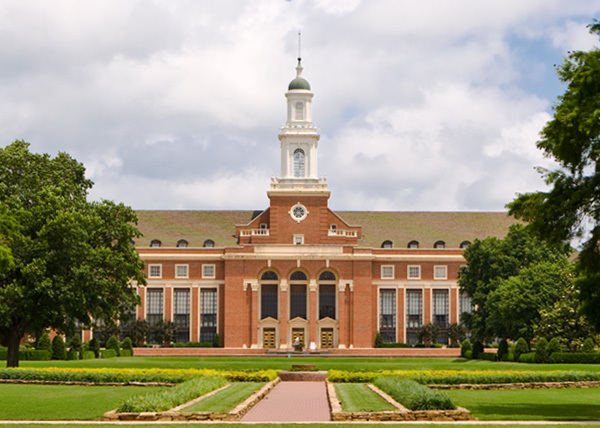 Oklahoma State offers an impressive UAS program tailored specifically to those individuals who are seeking an advanced degree in Unmanned Aircraft Systems. In fact, OSU offers the first unmanned systems focus in engineering at the graduate level. 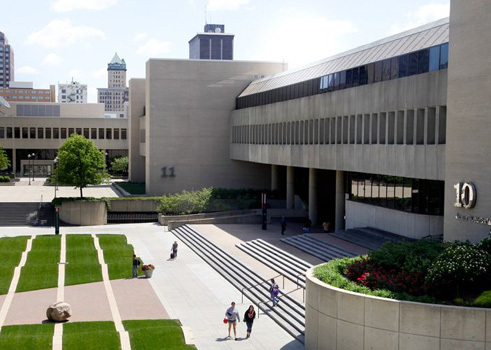 Basically, this UAS specialization is a multi-disciplinary research and education program in OSU’s College of Engineering, Architecture and Technology. Both Masters of Science and PhD degrees are offered. The goal is to offer students hands-on analysis, design, construction, and flight testing of UAS platforms. The university also has its Unmanned Aircraft Flight Station which is a dedicated UAS test facility outside of Stillwater, featuring a one square mile flight area of unpopulated land. It is also worth noting that students at OSU have won 7 international UAV design/build/fly competitions. Lewis was founded in 1932 as a private Catholic university, and aviation technology courses were part of its curriculum almost from the beginning. The University has been continually recognized as one of the top colleges in its regions by both The Princeton Review and U.S. News & World Report. Lewis offers a Bachelor of Science in Unmanned Aircraft Systems. This program promises an “Operations-focused curriculum” that combines aviation and Computer Science. The goal of the program is it to teach students how to “design, develop and operate individually-tailored UAS to meet mission objectives through an interdisciplinary curriculum” and prepare them for a career as a professional UAS/UAV pilot and operator. In the final semester of the program, students will develop their own UAS application, and will design, build and test an Unmanned Aircraft System to execute it. During the course of the program Lewis graduates will have earned: a Private Pilot Certificate (Single Engine Land), Instrument Rating, and Commercial Pilot Certificate (Single Engine Land). Lewis also has an on-site airport for hands-on training. 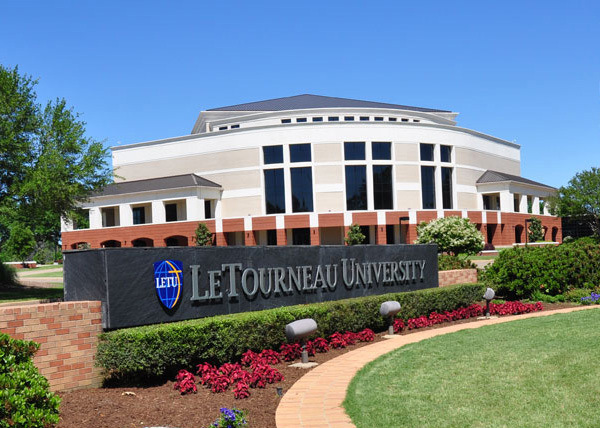 While LeTourneau University’s UAV program only began last year, its College of Aviation & Aeronautical Science has been training aviation professionals since 1956, and many alumni of this non-denominational Christian university are already working in the drone industry. It currently offers a Remotely Piloted Aircraft Systems, B.S. 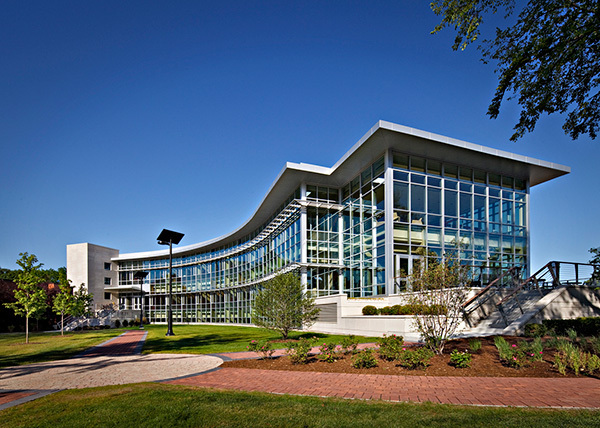 where students will learn to design, program, test, and use drones for multiple applications. This program is available in three concentrations depending on career interest: pilot, technician, and electronics. As the university is also committed to teaching its students to be mindful of safety and privacy concerns, LETU unmanned flights are conducted over land with restricted access – in most cases, private land with written permission from the owner. 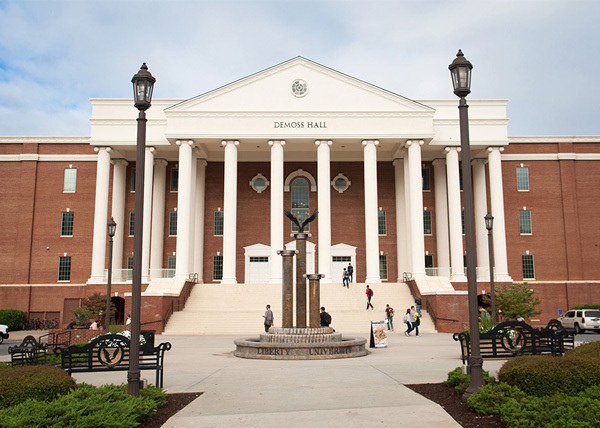 Liberty University is a private, non-profit Christian university with a very extensive online learning program. So it makes sense that its Bachelor of Science in Aeronautics, Unmanned Aerial Systems Cognate program would be a mix online and hands-on courses. 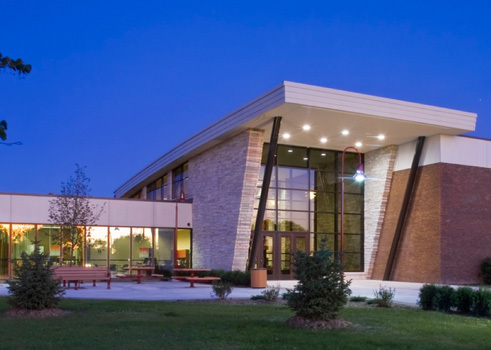 And while the university’s School of Aeronautics is relatively new (founded in 2005), it is well-funded and is committed to its growing UAS program. Students receive hands-on training that includes flight time and certification on small UAS, as well as the opportunity to be fully trained and certified on the Aerosonde UAS platform, which is currently used by the U.S Department of Defense, as well as for various scientific and environmental applications. 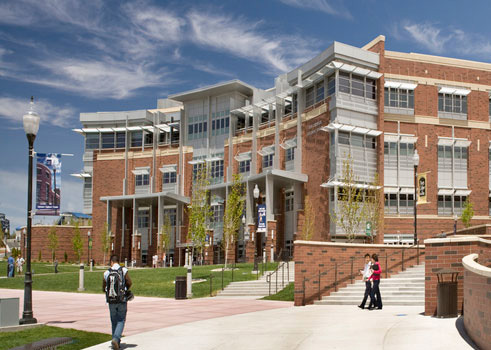 If you are more interested in designing and building drones than flying them, the University of Nevada, Reno is worth checking out. 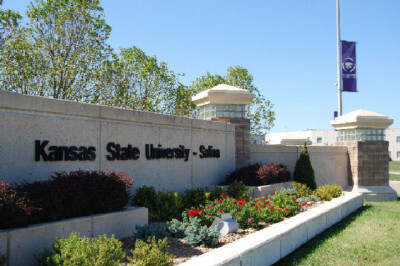 Since 2014, they have established an Unmanned Autonomous Systems Minor that is offered to all students in the Departments of Mechanical Engineering, Computer Science and Engineering, and Electrical and Biomedical Engineering. What is interesting about this minor (minimum 18 units), is that students are given the freedom to design their own plan of study (to be approved by an advisor). As only 1 of 6 states in the union to be awarded an FAA UAS test site designation, Nevada has something of a head start when it comes to drones. UNR is home to the Nevada Advanced Autonomous Systems Innovation Center (NAASIC) an organization dedicated to collaborating with industry partners to commercialize autonomous systems technologies. 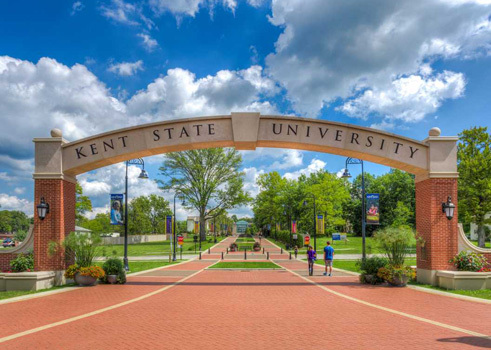 Kent State University’s College of Applied Engineering, Sustainability and Technology first offered a minor in Unmanned Aircraft Systems in the Fall of 2014. This is a 16-credit hour program available to students enrolled in any of KSU’s five aeronautics degree concentrations. Student will learn to build and fly small drones. Courses include Sensing and Sensor Systems, Flight Operations Theory, and Command, Control and Communications for UAVs. In a widely-cited UAV report, The Association for Unmanned Vehicle Systems International predicts that commercial drones will provide an economic impact (revenue, job creation) of over $80 billion between 2015 and 2025, and that the lion’s share of that boon will come from the field of precision agriculture. 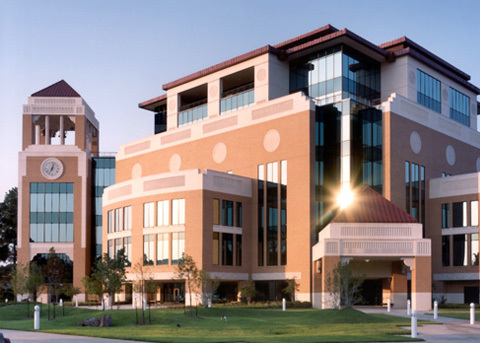 This is worth noting because in addition to offering a Bachelor of Science degree in Aviation with a concentration in Unmanned Aircraft Systems, the University of Louisiana Monroe has founded its own Precision Agriculture and Research Center (PARC). The university is positioning itself to play a key role in this new specialization by educating local farmers its benefits. If you are interested in the agricultural applications of UAVs, ULM is certainly worth checking out. Since the drone industry is still in its infancy, many UAV education programs are still relatively new. MTSU’s is no exception. Unmanned aircraft courses have been offered at the school since Spring 2014, originally as electives. In the Fall of 2015, a Bachelor’s of Science in Aerospace with a concentration in Unmanned Aircraft Systems Operations became available. The program is aimed at students who are interested in flying UAVs, providing support services, or in managerial roles at a company operating UAVs. It combines traditional aerospace classes with five courses specific to unmanned aircraft. As a result, students who complete this concentration will have received both manned flight training to the Private Pilot certificate level, as well as preparation for the FAA UAS knowledge test to earn a UAS Operator certificate. Unmanned Vehicle University is a dedicated UAS college, and offers everything from training certificates for piloting through Doctoral degrees in Unmanned Systems Engineering, and Unmanned Systems Project Management. 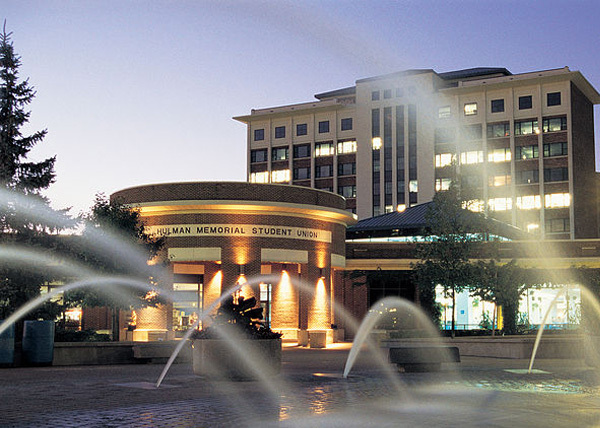 For the most part, UVU classes are not centered around a textbook. Most of its instructors have PhDs in Engineering and courses are developed from scratch based on their extensive experience. The school is licensed by the State of Arizona Board of Education, and is currently pursuing accreditation. 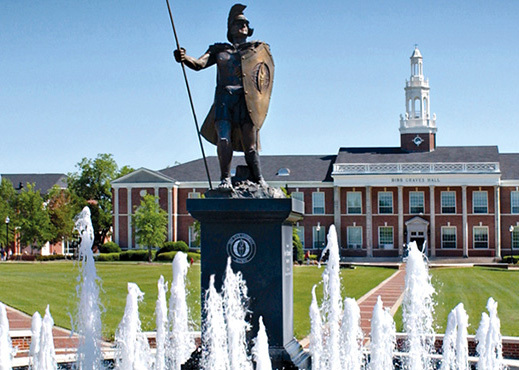 Troy University has recently added an Unmanned Aerial Systems minor as part of its Bachelor of Applied Science in Resource and Technology Management – Aviation Ops program. This minor is aimed at students who wish to pursue a career managing UAS technology, so it’s probably not be the best choice for those who want to fly drones. On the plus side however, all of Troy’s classes for this program are conveniently offered online, which sets it apart from most drone training colleges. Troy does offer hands-on pilot training for conventional aircraft (both fixed-wing and rotary) through its Aviation Operations program, but not for UAVs. 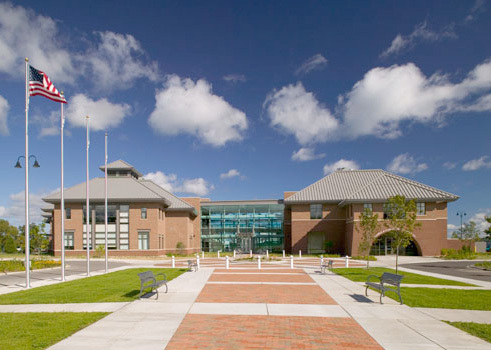 For a community college, COCC has a very impressive UAS program. 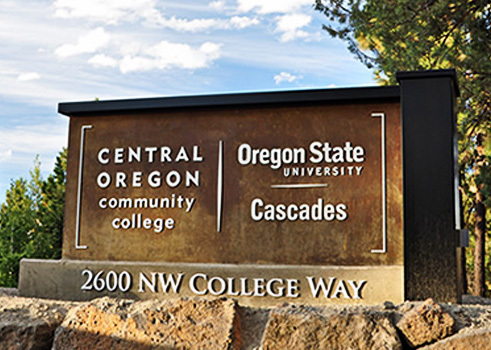 While many academic programs are engineering and design based, Central Oregon Community College’s focuses solely on operating UAVs. And students pursuing its Associate of Applied Science in Unmanned Aerial Systems degree will not be learning how to operate simple recreational drones flying below 400 feet and within sight of the user. Instead, this program teaches professional, licensed operation of UAS to prepare students for a broad range of employment using commercial-grade equipment. They will be taught how to conduct mission/pre-flight planning, mission briefings, and programming, as well as how to obtain and evaluate weather forecasts, and perform limited UAS and ground support equipment testing, troubleshooting and maintenance. The college even offers training in simulators provided by Insitu, Inc.
Sinclair Community College in Dayton, OH offers an Associate of Applied Science in Unmanned Aerial Systems. This is 62-credit hour program designed to prepare students for UAS industry applications in the fields of Geospatial Information Systems (GIS), precision agriculture, and first responders. Sinclair’s courses focus on UAS mission planning, maintenance, regulations, and data management, using hands-on operations, classroom instruction, and advanced simulation. 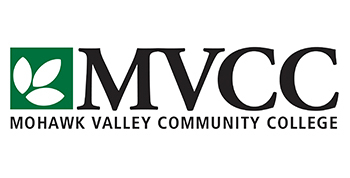 The Community College of Beaver County has a top-notch aviation program and has been training students to become commercial pilots and air traffic controllers since the late 1960s. But recently, they added a 65-credit Associate in Applied Science, Unmanned Aerial Vehicle program to meet the increasing demand for qualified pilots and sensor operators in this rapidly growing field. 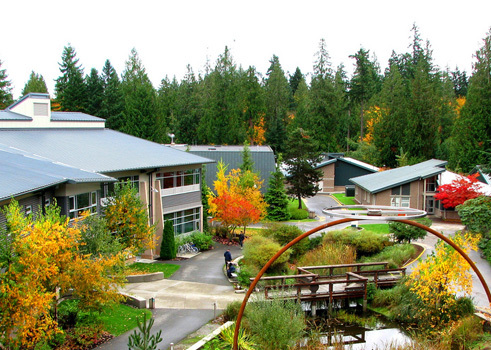 Green River College offers an Associate in Applied Science in Unmanned Aerial Systems. This is a 90-credit program that not only introduces students the world of unmanned aerial vehicles, but also enables upon completion, direct transfer to the University of North Dakota (see #3 above) to become an UAS operator under their program guidelines. Northwestern Michigan College offers UAS training as part of its Associate in Applied Science in Aviation degree. NMC’s currently offers three 3 UAS classes aimed at giving students the skills to operate small (under 55 lbs) UAVs for various kinds of commercial uses. These courses focus on future civilian UAS applications such as inspections, aerial mapping, and aerial photography, as well as how to be marketable in the industry. Last, but certainly not least among drone training colleges… If you want to get a job repairing and maintaining drones without pursuing a four-year degree, then you really need to take a look at Northland Community and Technical College’s Unmanned Aerial Systems Maintenance Technician certificate program. This program was the first of its kind in the nation and almost 100% of those who have completed it have found a job in the field. The courses are designed to create a skilled UAV technician with broad knowledge of UAS platforms at the functional level. This is a 30-credit program, but students are required to have an FAA Airframe and Powerplant (A&P) Certification prior to enrolling into the program. U.S. Postal Service Drones to Start Deliveries? Could the U.S. Postal Service be looking to hire drone operators in the not-so-distant future? It’s a definite possibility. The USPS may start to deploy drones to deliver the mail, not out of any desire to blaze new trails, but out of financial necessity. The USPS has a fleet of 163,000 right-hand drive delivery vehicles. This familiar “Long Life Vehicle” design was put into service 27 years ago, and now they are are starting to show their age. Not only are they are becoming increasingly expensive to maintain, but these trucks typically average only about 9 or 10 miles per gallon of fuel due to the constant stop-and-go motion required of them. As a result, in 2014 the USPS spent well over a half billion dollars on gasoline. It was for this reason that on January 20, 2015, the postal service asked companies to submit bids for new delivery vehicles at $25,000 to $35,000 apiece. Considering that they are looking to purchasing 180,000 of these vehicles, this will be a government contract worth $4.5 to $6.3 billion to whoever wins it. Needless to say, they have received bids from several big automakers: Ford, Nissan, Fiat Chrysler, etc… But they also received a bid from a company called Workhorse Group Inc. (formerly AMP Holding). Developed in conjunction with the University of Cincinnati, Workhorse’s bid offers an all-electric truck… that also has the ability to launch drones. This electric truck design, also called “Workhorse” carries an octocopter drone named “Horsefly”. Horsefly can be launched from the truck and used to deliver the mail. It is able to carry a 10 pound package and travel at a top speed of 50 mph. However, one of the drawbacks of small electric drones like Horsefly is their relatively short battery life (of 20-30 minutes). 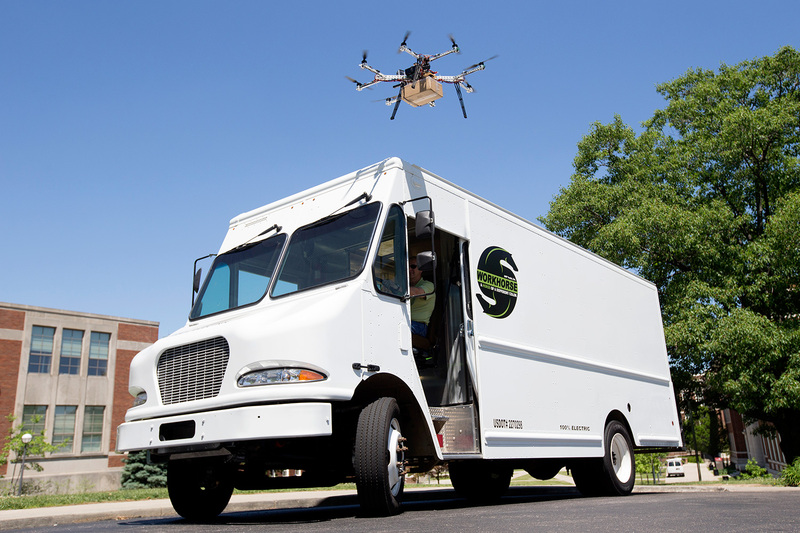 Workhorse has overcome this hurdle by giving their truck the ability to recharge the drone once it returns from a delivery. Here’s how it would work: the driver begins the process by scanning a package into a tablet computer in the truck. The tablet will respond by displaying a satellite map view of the customer’s address. Horsefly would then be dispatched to fly autonomously to the designated GPS coordinates and hover above the area. However, it would be the driver using his or her experience with their route, who would determine where Horsefly would actually land and drop off its package. A human operator would be responsible for lowering the drone and its cargo to the ground. This is necessary to deal with any obstacles or unforeseen possibilities that may be present near the landing site like trees, kids, telephone lines, etc… Then Horsefly would return to its truck to either deliver another package or recharge its batteries. Here’s another: in 2014, labor costs accounted for 78% of USPS expenses overall. U.S. postal service drones could enable the agency to deliver more parcels with less personnel. And this is an agency that has been losing billions of dollars in recent years. So you can see why they might seriously consider incorporating unmanned aerial vehicles into their fleet. Necessity may once again prove itself to be the mother of invention. What does all of this mean? In a few years if you want to get a job delivering the mail, you may need not only a driver’s license, but a drone pilot’s license as well. The Small Systems UAV Operator Certificate is a 6-week, single course program that will train you to operate small UAVs (under 55 pounds). The cost is $2495, and it covers the following topics: Introduction to Unmanned Aerial Systems Flight Operations, Regulations, Operations Risk Management and Flight Simulation, Autonomous Flight and Data Collection, Navigation and Mission Planning, Ground Flight Operations, and Flight Day. Cal Poly’s Extended University also offers an Advanced Unmanned Aerial Systems Certificate that can be a stand-alone program or augment an engineering degree. This is a multiple-course certificate program can be completed in approximately one year. If you don’t necessarily care about a degree or certificate and just want to learn, DARTdrones offers 1-day classes in Los Angeles and San Francisco at various times throughout the year. These classes are designed to help beginners “choose the right drone for their needs, understand how to fly legally and safely, and learn to fly.” They also offer FAA exemption filing assistance. You can also get a discount off the price of their training course, if you click on the link above and enter the coupon code: DRNHQ10. There is also Sacramento-based Drone University USA (not to be confused with the company above) which also offers classes in Los Angeles, San Francisco, and San Diego. These are 2-day courses which are “designed for students who are interested in being trained to be a safe, legal and efficient FAA FAR Part 107 commercial sUAS/drone operator.” They also offer 1 full year of free classroom training to all graduates so they can receive the latest information and training for the Part 107 license. Part 107 Remote Pilot Certification. K2’s program includes an on-site classroom, simulator room and in-field training programs as well as online, self-paced training programs. In addition, Unmanned Vehicle University (though based in Arizona) advertises a flight training center in Sacramento, for its UAV Pilot Training Certificate program. The College of Engineering and Computer Science has entered teams in the Student Unmanned Aerial Systems competition. A multidisciplinary team of Cal Poly engineering students won the 2014 Unmanned Aerial Vehicle (UAV) competition sponsored by the American Society of Mechanical Engineers (ASME) at its recent annual regional student conference. Cal Poly’s was one of 15 entries in the competition that featured student teams from universities across the western U.S. The contest challenged students to design, build, and fly a radio-controlled air vehicle capable of maneuvering through obstacles on a small course and dropping a payload on a target within five minutes allotted time, simulating a hypothetical UAV firefighting mission. If your heart is set on a certification or degree program in drone technology, you may need to go to the neighboring states of Arizona, Nevada, and Oregon. Please check out our drone school pages on those states, for specific information on what programs are available. Considering its size and population there must be a lot of drone schools in Texas, right? You might be surprised. So far, there is only one degree program that I know of and I just found out about it. Pilot – the Pilot concentrations is the best fit for students who want to fly unmanned aircraft. However, if you don’t need a degree, and just want to learn how to fly drones, DARTdrones offers classes in Dallas and Houston at various times throughout the year. They have classed designed for complete beginners, which introduce “you to the basics of flying: FAA rules and regulations, drone safety, an introduction to the equipment and software, and more.” They also discuss the 333 exemption, what you need in order to get one. Also, you can also get a discount off the price of their training course, if you click on the link above and enter the coupon code: DRNHQ10. In other developments, Texas A&M University Corpus Christi, led by the Lone Star Unmanned Aircraft Systems Center (LSUASC) was selected by the FAA to be one of only six test sites in the country, to study how to integrate unmanned aerial vehicles into the National Airspace System. Despite this, the university does not yet offer any UAV-specific degrees. Hopefully this will change in the near future. That being said, the state is not completely devoid of UAV training. Midland College employs drones in both its Energy Technology and Aviation Maintenance programs. Students in the Energy Technology program learn how to operate small drones, while the Aviation Maintenance students are taught how to take them apart and put them back together. The Unmanned Aircraft Systems Science degree gives graduates the expertise they need for employment as operators, observers, sensor operators, and operations administrators of unmanned aircraft systems. The coursework covers several UAS applications areas, including hazardous operations, surveillance and data collection, secure operations, long duration operations, highly repetitive operations, and autonomous operations. Students also learn about the engineering aspects of these aircraft systems and the regulations governing their operation. Students entering this program should have a basic background in math and physics. Students will select one of two specialty tracks, Pilot Track or the Non-Pilot Track. The Master of Science in Unmanned and Autonomous Systems Engineering is one of the first — and still one of the few — programs to offer the opportunity to study the engineering of unmanned and autonomous systems. The program prepares students to work in an industry developing systems that operate along a spectrum of autonomy, from unmanned aircraft and autonomous cars to robotic surface water and underwater vessels, spacecraft and industrial robots. Ocean Helicopters offers Basic, Advanced, and FAA Part 107 Unmanned Aerial Systems training courses. These 1-day classes are taught in West Palm Beach. 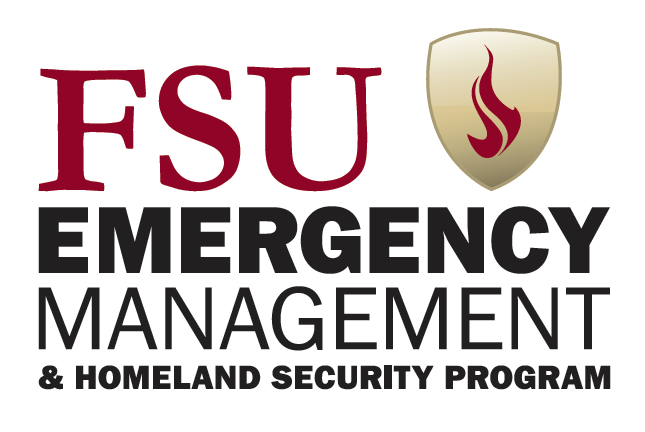 Florida State University’s Emergency Management and Homeland Security program (Tallahassee) now offers an “Application of Unmanned Aircraft Systems” course with more drone-related classes, such as “Unmanned Aircraft Systems in Emergency Management”, on the way. Unmanned Vehicle University (though based in Arizona) runs a flight training center in Sarasota, for its UAV Pilot Training Certificate program. Or… if you’re simply looking to learn how to fly small UAVs or perhaps just want to get your feet wet, DARTdrones could be a great option. They offer 1-day courses throughout the year in Orlando. Also, if you enter the coupon code, DRNHQ10, they will give you a discount off the price of their classes. DSLRPros Drone Flight School in Fort Lauderdale. They offer a one-day, 9-hour course that includes both ground school and hands-on flight training, aimed to teach you the basics on a Phantom 2 drone. Miami-Dade College also offers a non-credit, 15-hour “Introduction to Unmanned Aerial Systems” course. So, are there drone schools in New York? You bet. While some New York politicians are trying to pretty much ban drones, the rest of the Empire State seems to be embracing them, judging by the number of UAV user groups. Monroe Community College in Rochester is offering a non-credit course on small, unmanned aircraft operations. The course focuses on teaching students to fly quadcopters for commercial or personal use. It covers safety, drone capabilities, and giving them flight system experience. The course is taught in six 3-hour sessions, costs $1,500, and includes a quadcopter. 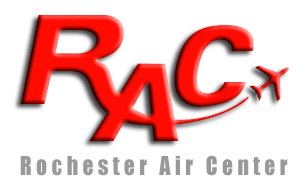 DARTdrones offers 1-day classes in Syracuse at various times throughout the year, that are designed to help beginners “learn to fly safely, better understand the FAA rules and regulations, learn the no fly zones, and handle your equipment and software like an expert.” Also, you can get a discount off their courses if you enter the coupon code: DRNHQ10. This course is designed for anyone that wants to fly small Unmanned Aerial Systems (sUAS) for fun or as a new career after the FAA opens the skies to commercial use. Students learn to fly, are taught about the different types of flight systems and, most importantly, acquire insight into safe and legal flying practices. 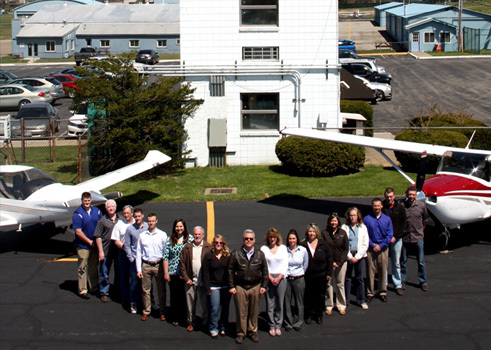 Rochester Air Center in Rochester, offers a small Unmanned Aircraft System (sUAS) Training Program. Please check their website for pilot requirements. As I write this, if you have you’re heart set on a UAV-specific college degree, there is only one school in the state with a UAV degree program. Fortunately, it’s a good one. Lewis offers a Bachelor of Science degree program in Unmanned Aircraft Systems. This program promises that its “Operations-focused curriculum combines aviation and Computer Science. You will learn how to design, develop and operate individually-tailored UAS to meet mission objectives through an interdisciplinary curriculum”. They also claim that by graduation, “you will be qualified for a career as a professional UAS/UAV pilot and operator,” having earned your: Private Pilot Certificate (Single Engine Land), Instrument Rating, and Commercial Pilot Certificate (Single Engine Land). Lewis even boasts an on-site airport for hands-on training. Or maybe you don’t need a college degree, and simply want to learn how to fly UAVs. In that case, DARTdrones offers classes in Chicago on certain days throughout the year. Their classes offer to help you “learn to fly safely, better understand the FAA rules and regulations, learn the no fly zones, and handle your equipment and software like an expert.” They will also give you a discount off the price of their training courses, if you click on the link above and enter the coupon code: DRNHQ10. There is also a new Chicago-based UAV service company you should know definitely know about, called Aerovista Innovations. One of their services is training through their Drone Academy, which offers a variety of programs: everything from 1-hour classes for people who have never touched a drone before, to 2-day courses for commercial operators. It also worth noting that crop researchers at the University of Illinois have been experimenting with the use of drones on the university’s farms, but so far offer no classes. I’ll let you know if the situation changes. Also, the Community College of Allegheny County is offering Introduction to sUAS – Drones starting on June 20, 2016. This consists of over six 3-hour sessions, and aims to give a thorough understanding of sUAS operation, safe practices and emerging job opportunities. Includes indoor hands-on flight practice using a small model quadcopter as well as computer simulator training. If you aren’t looking for a degree program, but just want to learn, DARTdrones in Philadelphia offers a great 1-day course. And you can also get a discount off the price of their training course, if you click on the link above and enter the coupon code: DRNHQ10. I have recently heard about Liberty Flight School in West Chester, which might also be worth checking out. And while it doesn’t yet offer UAV-specific classes, the University of Pennsylvania’s Department of Mechanical Engineering’s GRASP (General Robotics, Automation, Sensing and Perception) Lab is conducting research aimed at achieving highly precise UAV flight. This technology could someday be applied to search and rescue operations. It is interesting to note that the Pennsylvania Department of Transportation is already using drones to take aerial photos of sinkholes to monitor their growth and size. With new uses for drones being discovered at such a rapid pace, it is only a matter of time before more drone schools are established. Kent State University’s College of Applied Engineering, Sustainability and Technology offers an Unmanned Aircraft Systems minor as part of its Aeronautics, Bachelor of Science Degree Program. This consists of 5 classes ranging from “Introduction to Unmanned Aircraft Systems” to UAV sensor systems, command and control, and flight operations theory. Sinclair Community College in Dayton, OH offers an Associate of Applied Science in Unmanned Aerial Systems. This is 62-credit hour program is designed to prepare students for entry level positions in the UAS industry working in applications such as emergency response, Geospatial Information Systems (GIS), and precision agriculture. In addition, Ohio State University and Wright State University are both heavily engaged in drone research. You might want to keep you eyes these universities to see if any announce plans to offer UAV-themed classes. At the moment there are no schools offering unmanned aerial systems degrees in Georgia. However, this situation will be changing soon. 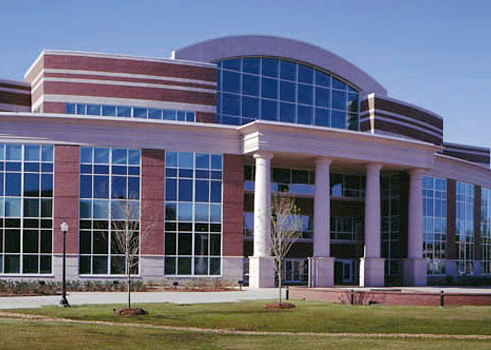 Middle Georgia State College’s School of Aviation (Eastman, Georgia campus), has plans to offer classes as part of a UAV program no later than fall of 2015. The school already has a long history of offering courses, degrees and certificates in fields related to aircraft. And I would expect other institutions in the Peach State to follow suit, considering that Atlanta is becoming widely-regarded as a research and development hub for the industry. Georgia Tech Research Institute’s Aerospace, Transportation and Advanced Systems Laboratory (ATAS), for example, aims to be a leader in innovative and advanced research in unmanned systems, from basic research to advanced prototypes to testing and evaluation. Several aerospace companies have spun off from this group. In fact, Georgia ranked No. 5 in the United States for aerospace employment in 2012. For now, people seeking drone schools in Georgia might want to try Florida or Mississippi.